Budapest private & daily bike tours, bike rentals, Segway tours, Segway rentals! Yellow Zebra has been providing Budapest bike tours, Segway tours and bike rentals to the visitors of Budapest for over a decade, so you're in very experienced hands. So why not see what Budapest has to offer and join us on one of our tours! An entertaining bike ride around Budapest's major sights! Enjoy a leisurely experience and learn about Budapest and the history behind it. Learn to ride and Segway the self balancing electric scooter and then we take you on a tour! Join us as we cycle through the streets of Budapest and then along the Danube to the Medieval artistic town of Szentendre. Segway private guided tour of the inner Pest side! An entertaining and relaxing evening bike ride around Budapest's major sights! Enjoy a leisurely experience and learn about Budapest and the history behind it! Rent a bike in Budapest and explore the city on wheels! Welcome to the home of Yellow Zebra Budapest! We are your one stop shop for bikes and Segways in Budapest, Hungary! Yellow Zebra Budapest has been providing Budapest tours and bike rentals to the visitors of Budapest for over a decade, so you're in very experienced hands. Thousands of travellers before you have tried and tested our extensive range of Budapest bike and Segway tours, and many more have taken advantage of our high-quality Budapest bike and Segway rentals. The know-how we've built up over the years in Budapest, coupled with the fact that we're owned by a traveller like you, means that we really know what visitors to Budapest want and expect. So why not see what Budapest has to offer and join us on one of our daily guided Budapest bike tours and or Budapest Segway tours, or come hire a bike and cruise around the city exploring the sights of Budapest at your own pace. We also offer high-end bike rentals for those who want to dive in and really explore Hungary and its countryside. We look forward to welcoming you in our Budapest tour center and please don't hesitate to get in touch with any questions you may have. What could be better than an enjoyable day gliding around the main sights of Budapest on a Segway. It's a self-balancing electric scooter that's not only unique and fun, but will allow you to cover a lot of ground by the end of your guided tour of Pest. An entertaining bike ride around Budapest's major sights! Enjoy a leisurely experience and learn about Budapest and the history behind it through an innovative and entertaining bike ride. Explore Budapest on bike with family or friends! All rentals available in male or female models! The post Budapest Art Nouveau and Hidden Tour appeared first on Absolute Tours Blog: Walking tours, Private & Specialty Tours and more!. 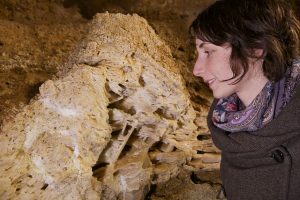 The post Enjoy the secret Budapest Cave Adventure appeared first on Absolute Tours Blog: Walking tours, Private & Specialty Tours and more!. 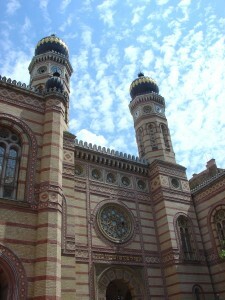 The post Great Synagogue on Dohány Street appeared first on Absolute Tours Blog: Walking tours, Private & Specialty Tours and more!.